In 1888, Oswell Danford is living a hard but satisfying life as a rancher in Virginia when he receives an unexpected telegram. A wedding invitation should be cause to celebrate but not when it means he’ll have to face past deeds that he’s deeply ashamed of. Now he and his brother, along with their ex-compatriot, an inveterate gambler from New York, will have to travel to Montana Territory to settle an old score they’d nearly forgotten. They will join the expectant congregation at the small town church for the marriage of their former brother-in-arms. But while everyone else will be wishing a blissful future for the happy couple, these men will be praying the darkness from their past doesn’t devour the entire town. 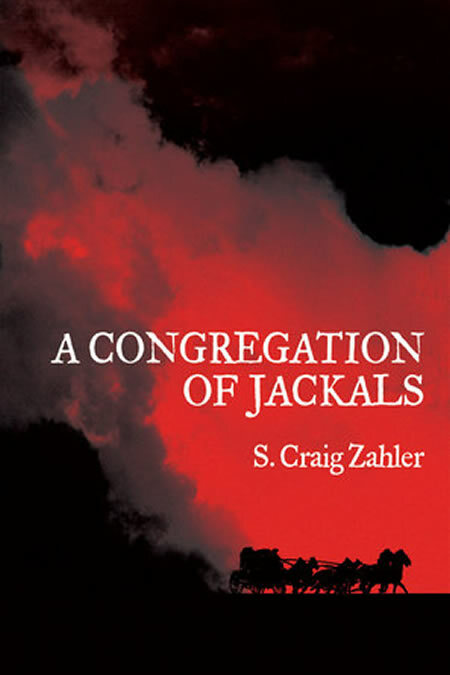 A Congregation of Jackals is an unrelenting tale of betrayal and revenge told with a precise brutality that will leave you breathless and haunted. S. CRAIG ZAHLER is a novelist, screenwriter and cinematographer. He wrote and directed the films Bone Tomahawk and Brawl in Cellblock 99, and his novel Wraiths of the Broken Land is currently being adapted for the screen by Ridley Scott and Drew Goddard.